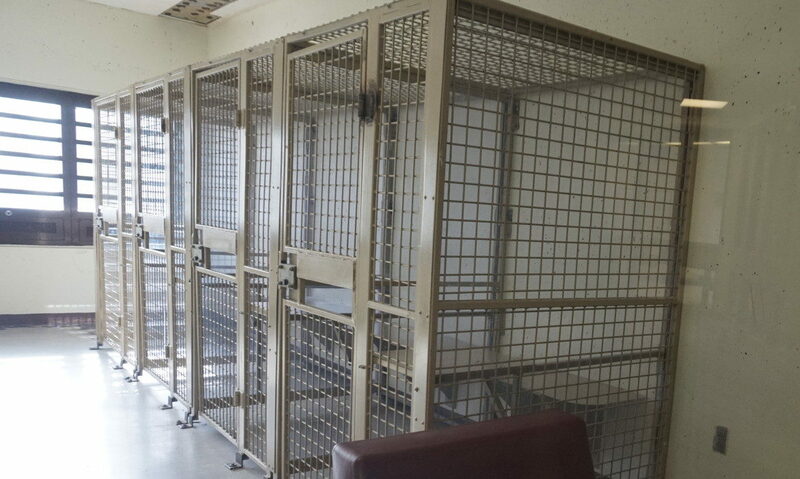 Therapy booths at the Secure Psychiatric Unit at the men's prison in Concord. CONCORD – Gov. Chris Sununu has stated he supports moving civilly committed patients out of the Secure Psychiatric Unit at the men’s prison, but it’s unknown whether that will include funding for a new facility in his budget address on Thursday. Rep. Renny Cushing’s bill to require the Secure Psychiatric Unit be moved to the control of the Department of Health and Human Services instead of the Department of Corrections received a great deal of positive testimony on Tuesday. The bill would also require the planing and construction of a new facility. But not everyone is in favor of a new facility. The Disability Rights Center strongly supports ending the placement of civilly committed patients at the Secure Psychiatric Unit, but a new forensic hospital is not the way to do that, according to Andrew Milne, a DRC attorney. “These patients can be moved to a renovated wing of the New Hampshire Hospital, in space that can be freed up by expanding community-based services — such as mobile crisis teams, assertive community treatment, and supported housing — which can help people transition out of the hospital quickly or avoid hospitalization altogether,” Milne said in an emailed response to questions from InDepthNH.org. Also, the legislature is already considering bills to expand hospital capacity by moving children out of New Hampshire Hospital or temporarily increasing the number of psychiatric beds in other hospitals, he said. Last April, Milne said the Disability Rights Center was investigating the possible role of abuse and neglect in inmate Phillip Borcuk’s death on Dec. 6, 2017, at the Residential Treatment Unit, which is located upstairs from the Secure Psychiatric Unit. He had no comment on that inquiry. Borcuk, 34, of Cornish, was admitted from Sullivan County Superior Court into Department of Correction custody in 2012 for charges of operating after being certified as a habitual offender, theft by unauthorized taking and assault by prisoner, according to the department. The Disability Rights Center is a statewide non-profit organization that is federally authorized to investigate possible violations of the Protection and Advocacy for Individuals with Mental Illness Act. The PAIMI Act authorizes DRC to investigate suspected abuse and neglect of individuals with mental illness and obligates facilities such as prisons to cooperate by promptly producing requested records. The Residential Treatment Unit is a specialized unit for inmates with mental illness who are unable to function in the general inmate population. The Secure Psychiatric Unit houses mentally ill inmates and patients who haven’t been convicted of a crime, but are considered too dangerous to be housed at the New Hampshire Hospital, the state’s psychiatric hospital.